Red Lentil Soup. For those of you that do not know, my mother-in-law is Turkish. When I married my husband, he would tell me stories about his mother’s lentil soup, how good it was, and how much he liked it. Her lentil soup was the first lentil soup I had ever tried. I have to say, it is also the best. She was nice enough to share her family’s recipe for my blog. 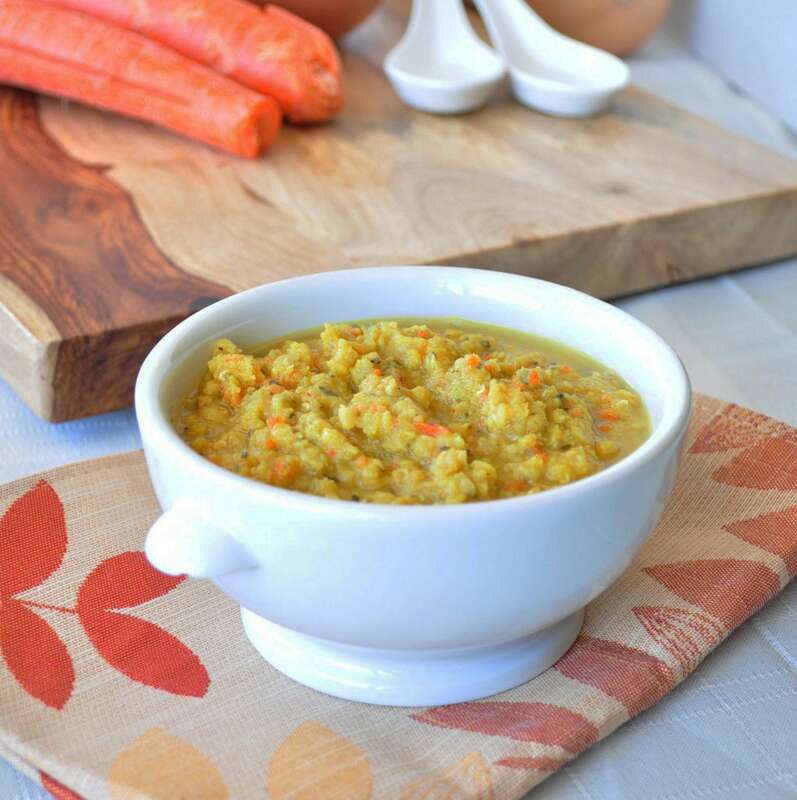 This red lentil soup is really easy and costs only pennies to make. My mother-in-law says that in Turkey, they often add a dollop of plain yogurt on top of this soup. In Turkey, they add yogurt to many things. In a large pot, cook the lentils, bulgur, carrots and water until soft. It takes about 30 minutes. In a sauce pan saute the onions and olive oil until they get soft. Add the dry spices, lemon juice and 1/2 – 1 cup of water and stir well. If you are using the tomato paste, add it in too. Add the onion mixture to the lentil mixture and let it simmer slowly for about 10 minutes. and your done. Enjoy! If the soup appears to thick, you can add a bit more water. Some people like to use an immersion blender to puree it further. I did not do that. Serve immediately or refrigerate for later. This soup can be frozen also. Cannot wait to make this! My husband's maternal family is Lebanese. So, there is a very similar food base with your husband's family! He LOVES lentils. He'll be thrilled for some good lentil soup (me too, as I love lentil soups with some crisp lemon flavor in it). I recently discovered a few recipies for Lentil Soup with roasted winter squash chunks. Sounds so delicious! Just wanted to pass the idea on to you. By the way, I can't stop reading your recipes! I can't wait to try so many! That sounds like it would be delicious! I may try that sometime. I hope you enjoy my recipes! One of my favorite soups is the hearty white bean soup. So good! Any advice on turning this into a slow cooker recipe? Thanks!! This turned out delicious! It actually looks just like the photo, which never happens to me. The cayenne kind of overwhelmed the lemon and other spices, but that was not a problem. I am happy to have a large batch of this for lunches! Definitely use the full six cups of water with the lentils if you cook it on the stovetop. Is there a reason the amount of rice or bulgur is so small? I used two tablespoons of brown rice, but I don't know what purpose it serves if you use so little. I'm glad you liked it! I'm not sure the reason for small amount of bulgur. I think it adds some taste and texture? This is my mother in law's recipe. This soup is the best! I always throw in extra carrots and cut back a smidge on the black pepper and cayenne because I am a wimp. I am trying to go vegan. Love your recipes!!! Thank you. I just finished making this soup and it is delicious! Thank you for sharing all of these yummy recipes! You are so welcome! I'm glad you enjoyed it. Looks yummy. I'm going to try this in the crockpot tomorrow with chunks of butternut squash (thank you Costco) added in. Should be great for lunches on these cold rainy Seattle days. Thanks! I think butternut squash might make a great addition. this might be a silly question, but it says red lentil soup so am I suppose to use red lentils or do brown lentils work? Use red lentils. The brown and green lentils have an earthy flavor that would not go well in this dish.